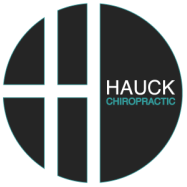 Lisa is the Office Manager, Chiropractic Radiology Technician and Chiropractic Assistant at Hauck Chiropractic. Her responsibilities include new patient relations, insurance processing and billing, collections, and many other day-to-day operations. Lisa's favorite part of her career is seeing the improvement in patients that come in for pain﻿ and stay for t﻿he new healthy lifestyle they have adopted. She has been working in the chiropractic field for over 9 years. Lisa has been married to her husband, Russ, for 18 years and they have two teenagers. Together they love to be with their kids and support them in the sports they are active in. Lisa looks forward to meeting each patient that comes in for care! Renee' is excited to be part of the team here as a chiropractic assistant. She enjoys meeting and assisting the patients at the clinic and seeing the positive effects that chiropractic has on them. Renee' has lived in Hastings most of her life. She has three grown daughters, three step children, and 12 grandchildren. When not working, Renee' enjoys spending time with her family and her husband Gary. She also enjoys baking and sewing. She looks forward to meeting you! Claire is from England, not Australia as many people think. :) She has been in the United States for 12 years but just in the Minnesota area since October 2018. One of her favorite parts of the job is interacting with patients and seeing the results from receiving regular chiropractic care. In her spare time she enjoys being outdoors, especially hiking with her dog.